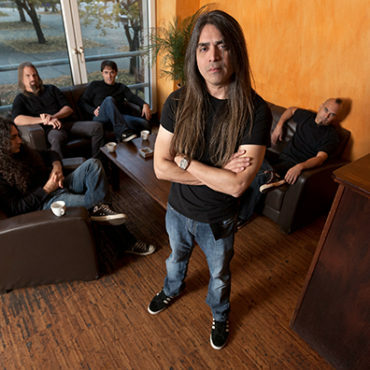 DGM are an Italian progressive metal band. Since the beginning of their career they’ve been considered one of the most representative metal reality of their country. DGM released eight official LP, one official live DVD, one greatest hits and one double Vinyl during their 25 years history. The name of the band grow up year by years thanks to a very personal style of music made by hard riffs and very catchy melodies. Since the second album the band has been considered an international band receiving attention from the entire world: Europe, USA and Asia. After many line-up problems Fabio Costantino and Andrea Arcangeli found the right one when Simone Mularon, Mark Basile and Emanuele Casali joined the band in 2006. With this enhanced line-up the band released the masterpieces of their career: “Different Shapes”, “Frame” and “Momentum”. Thanks to an high numbers of fans DGM released their first live DVD in 2010 and their first “Best Of…” with all the hits recorded in the previous albums. The band spent most of the time after their recordings touring around worldwide, taking part to the most important metal events and playing in most of the countries. Prog Power USA, Prog Power Europe, PPM Fest, Gods Of Metal, Italian Gods Of Metal, Agglutination Festival are only few of the most important fests the joined through the years. They had the chance to touring with Symphony X as support band in 2010 and touring as headliners in their first Asian tour where they playd in Beijin, Tokyo, Nagoya and Osaka. 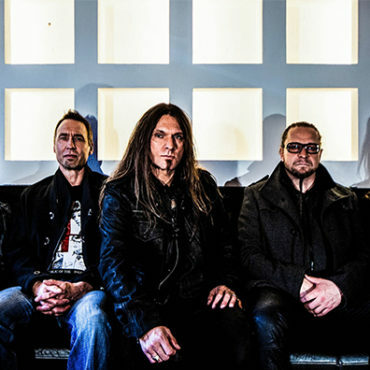 Nowadays DGM are considered by media and fans a band at the top of its game, this “status quo” they reached through the years gave them the possibilities to have some very important guests on their last album “Momentum” such Russen Allen (Symphony X) and Jorn Viggo Lofstad (Pagans Mind).